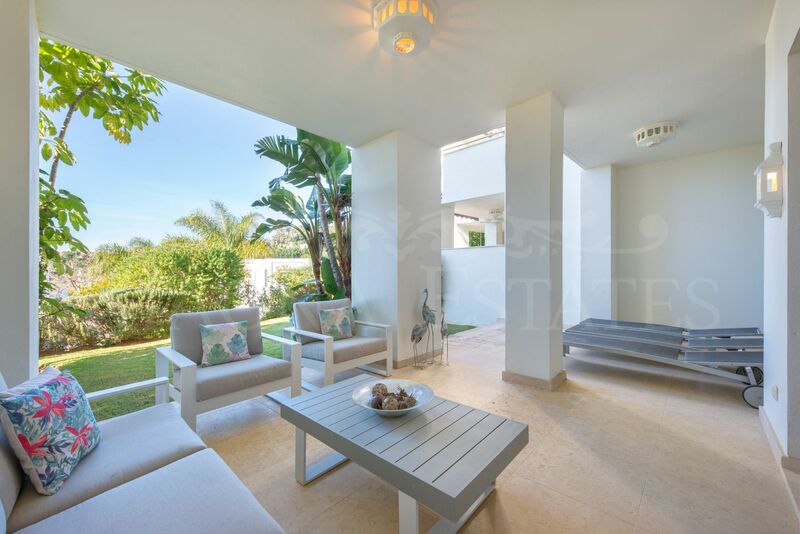 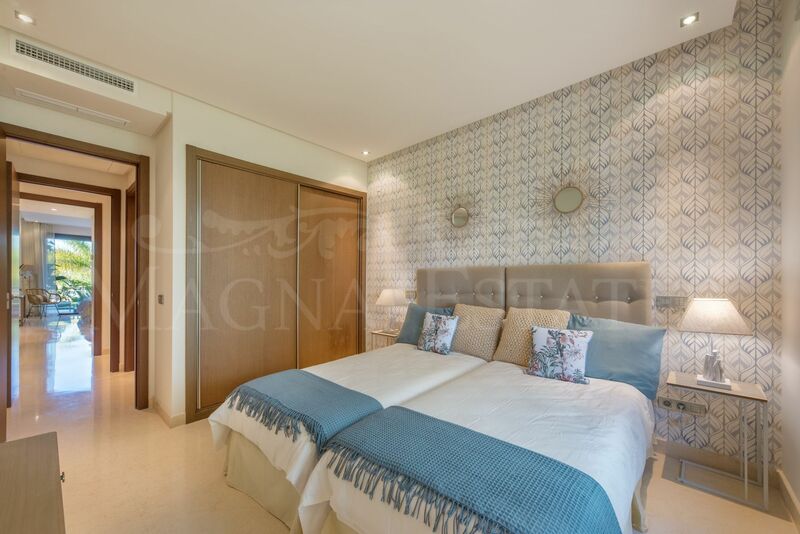 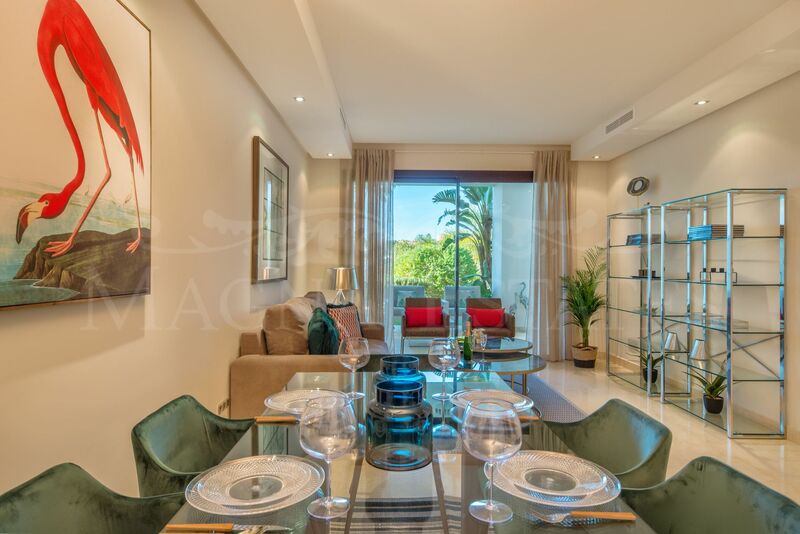 This property is distributed in a spacious living room with access to the terrace and a garden for private use and maintained by the gardeners of the community, which in turn, communicates with the common areas and the large communal pool. 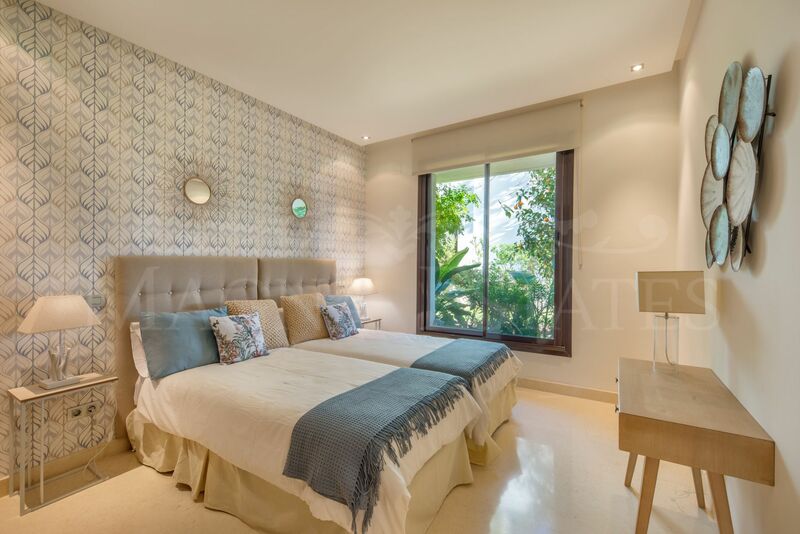 Two large bedrooms, the master en suite and with access to the terrace, with bathroom with whirlpool bath and separate shower. 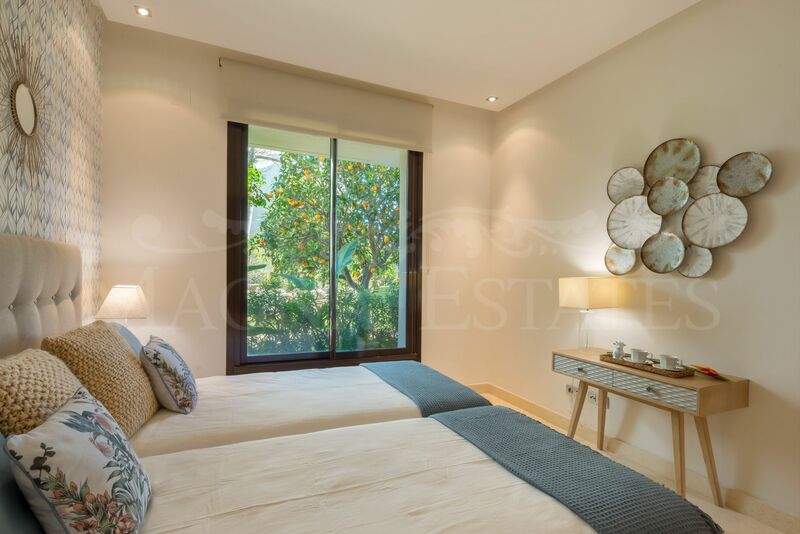 The second bedroom is also very spacious and has a window to the common areas. 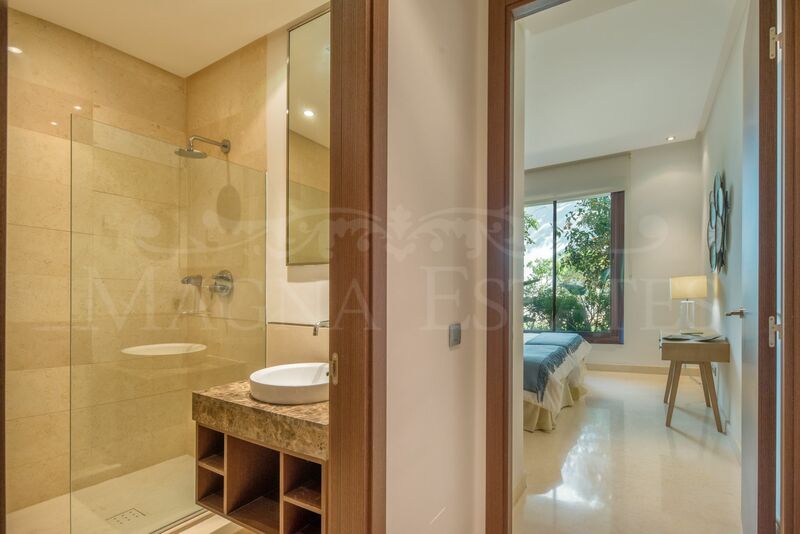 A full bathroom with shower. 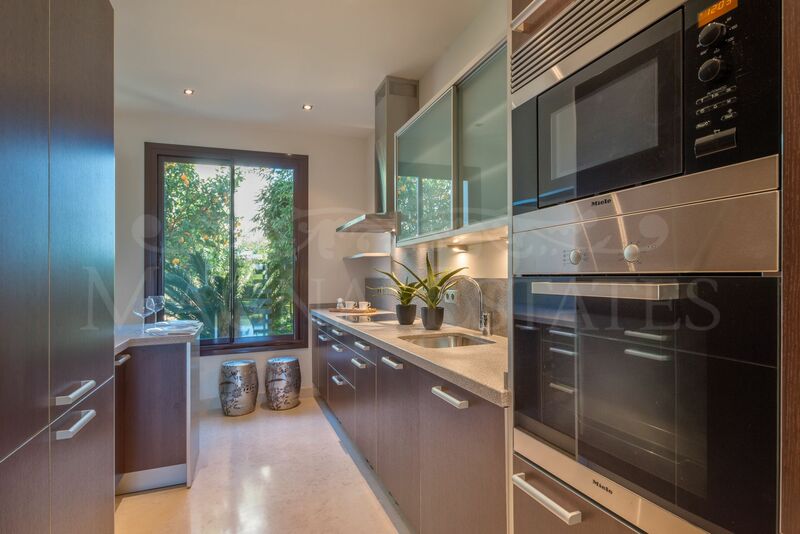 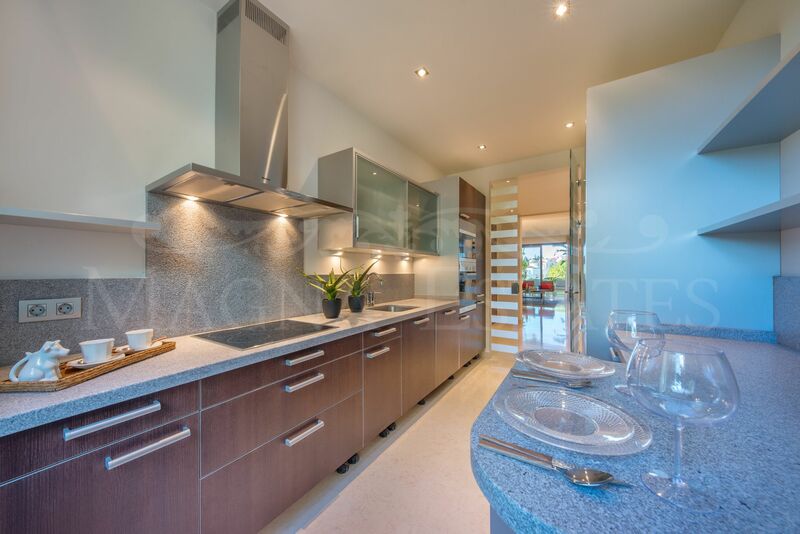 The kitchen is fully equipped with top brand appliances and separated from the living room by glass door. 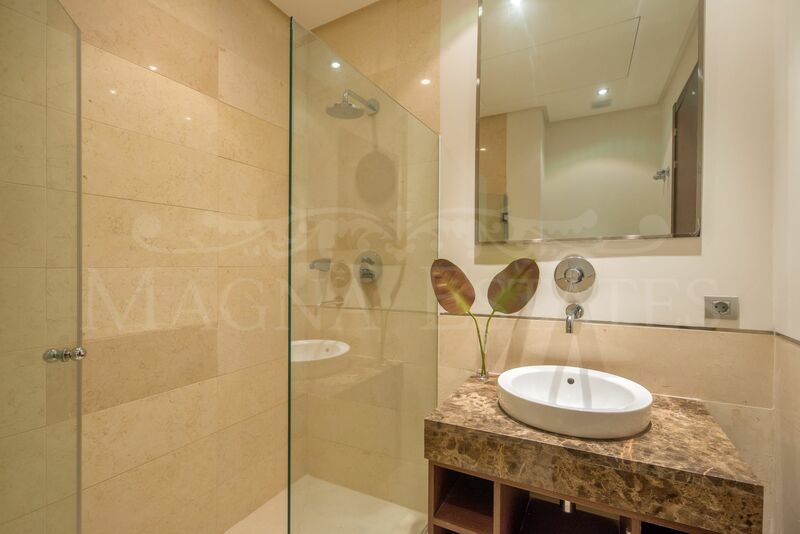 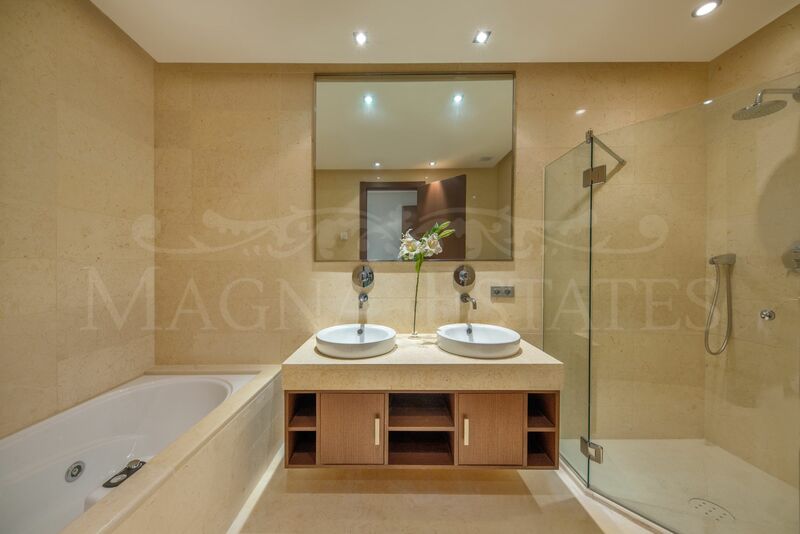 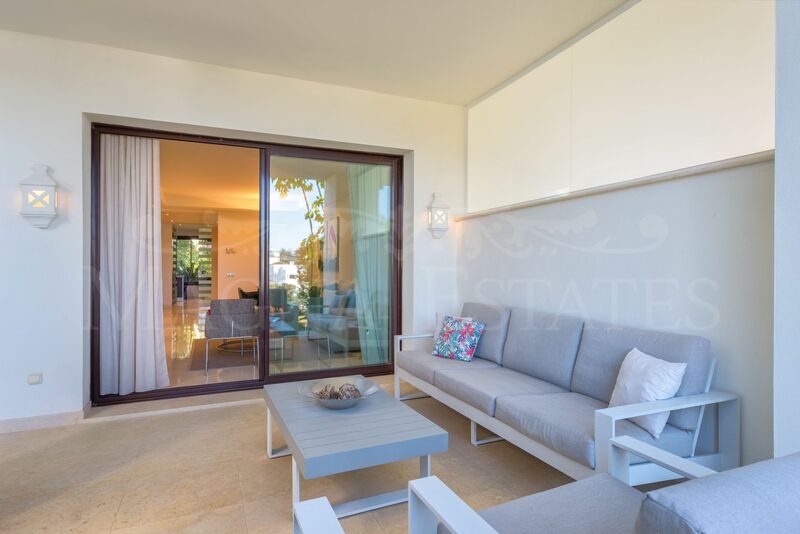 It is sold fully furnished and decorated with exquisite taste. 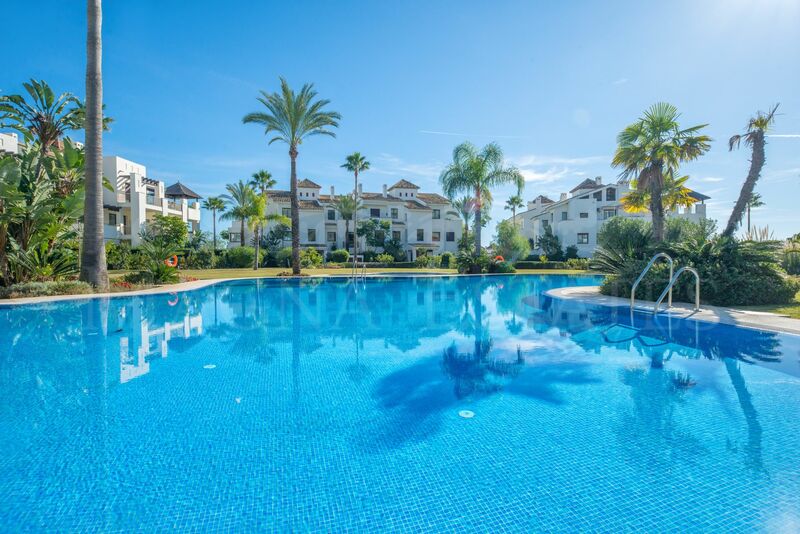 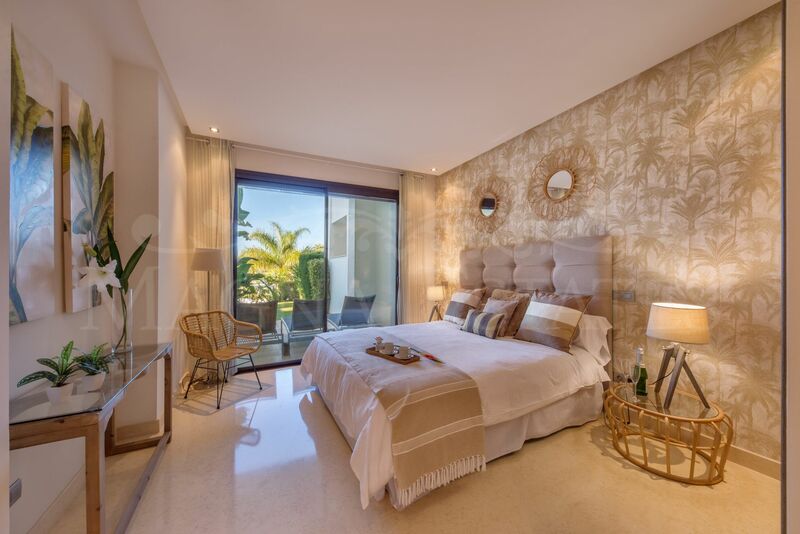 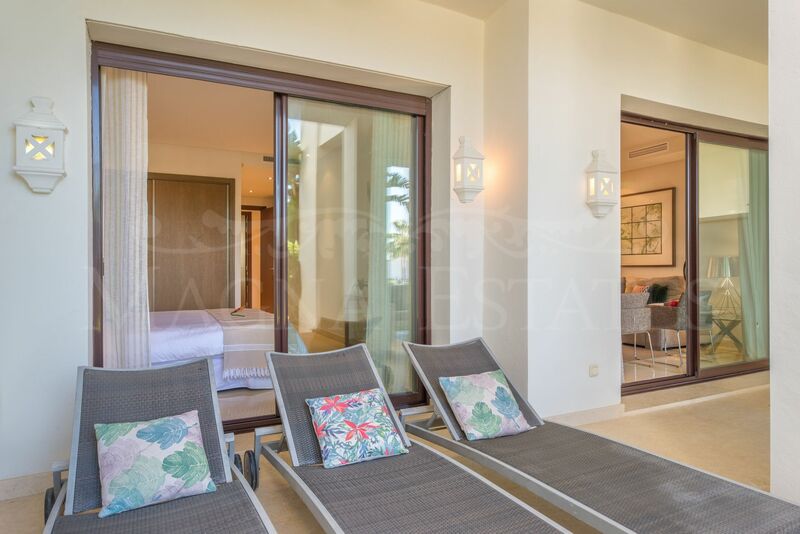 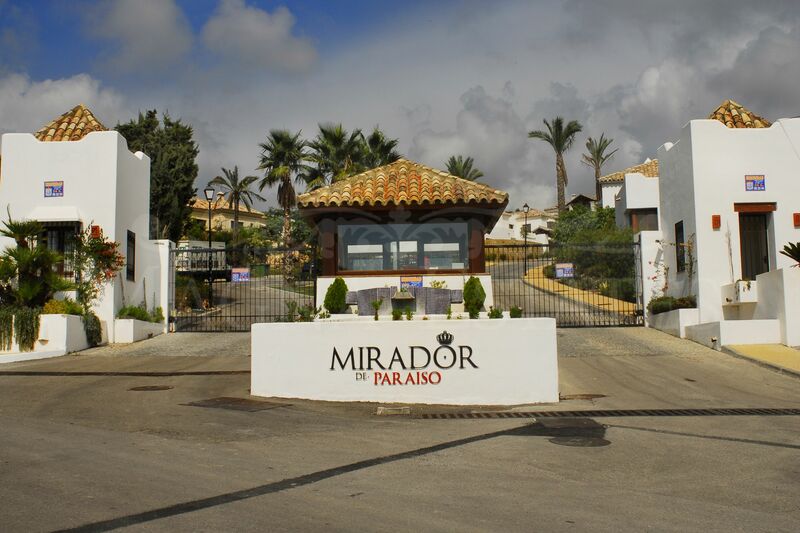 Mirador del Paraíso is a gated community, with 24 hour surveillance by professional guards, which consists of individual villas, high quality townhouses and apartments, with communal areas and separate community pools. 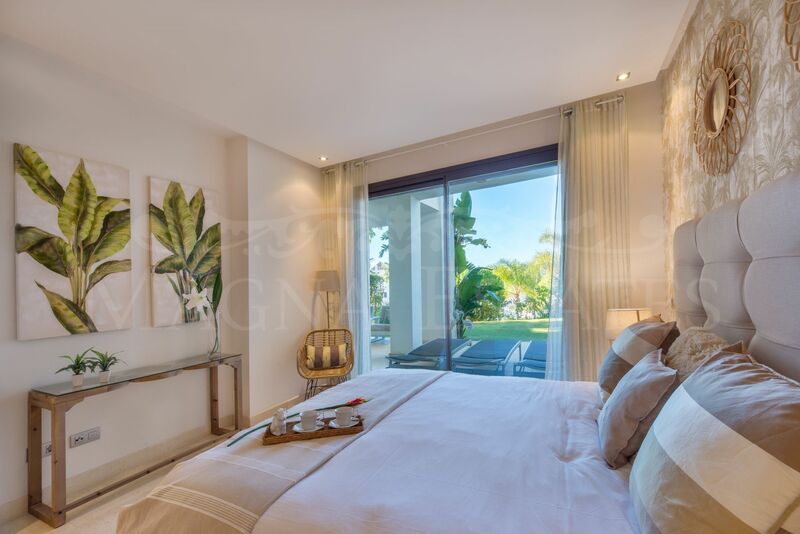 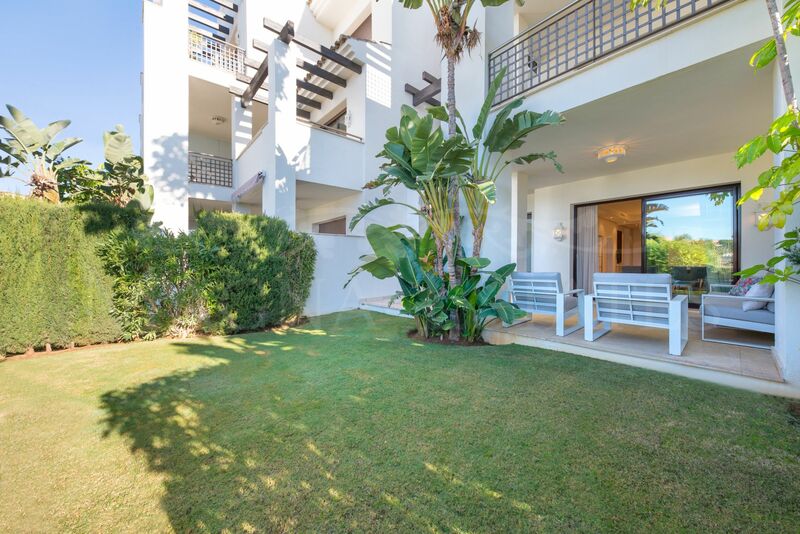 It is located just two minutes from the Atalaya and El Paraíso golf courses and with easy access to the road to Benahavís and the beach. 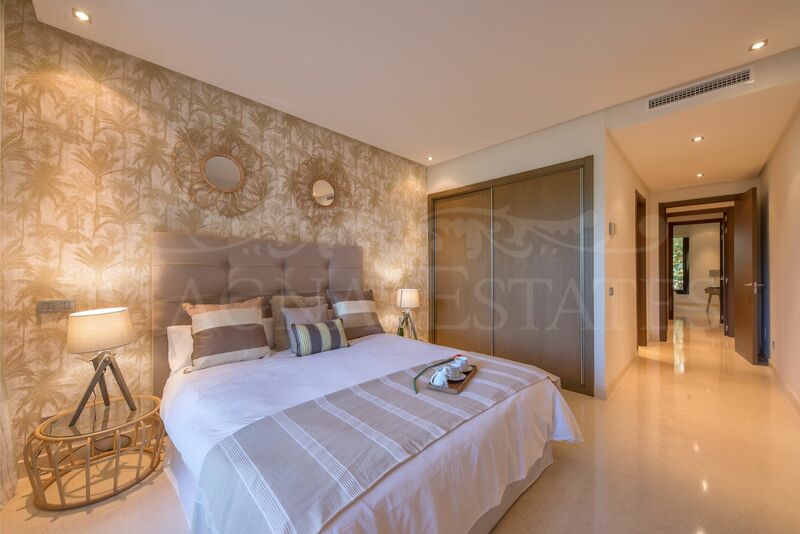 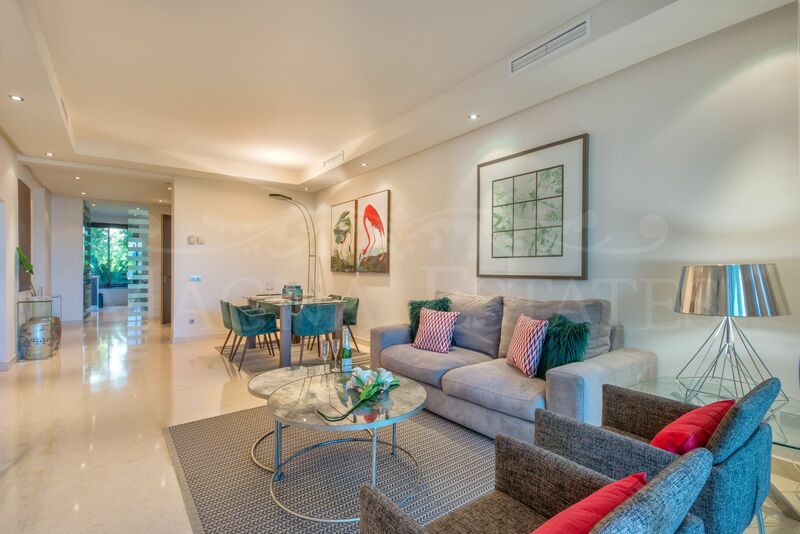 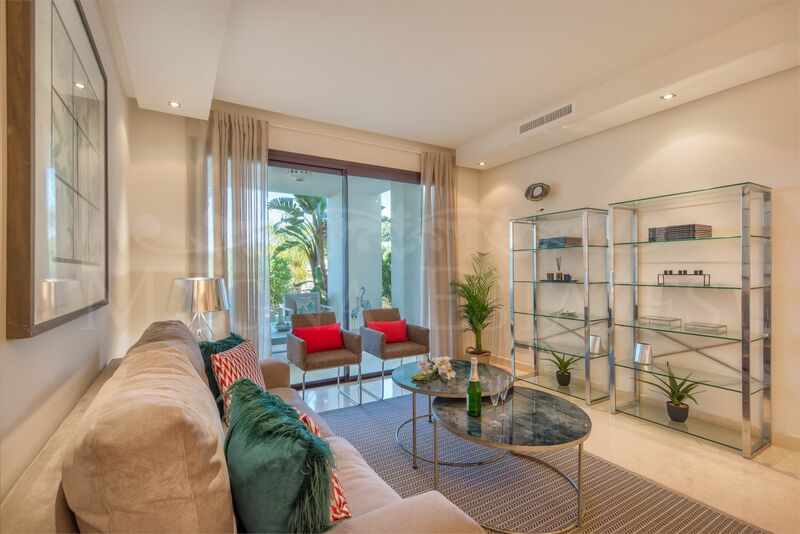 An opportunity to acquire a furnished apartment, ready to live, in one of the best developments on the coast. 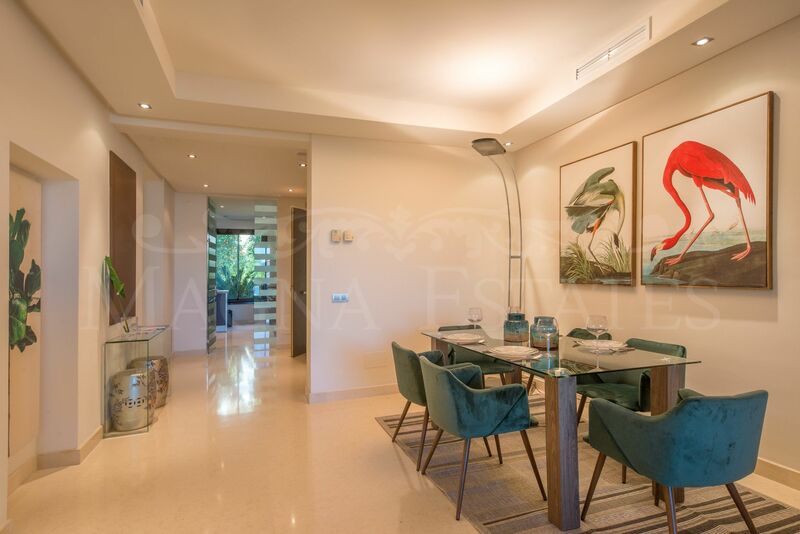 Please, send more information about ref 247-00050P, Ground Floor Apartment in Mirador del Paraiso, Benahavis or similar properties.